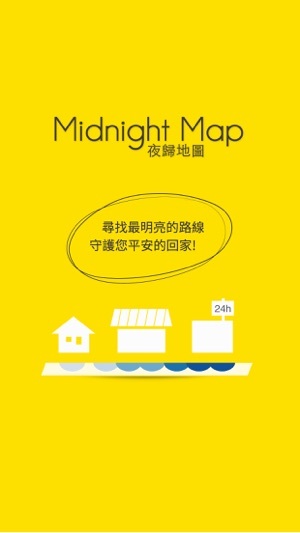 The purpose of Midnight Map is to provide the safety sections of the roads for users who are not familiar with the way to destination or return home late. 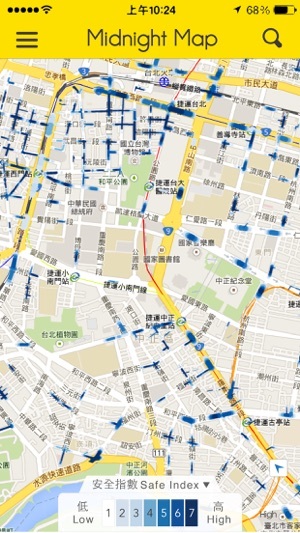 We acquired the safety roads at night by choosing nearly 20,000 POIs which are 24-hour opening in Taiwan, including convenient stores, gas stations, hotels, police office, KTV, fast-food restaurants and so on. In order to simulate the light stretching of a store, we used POI kernel density to display the light gradient which also means the level of safety. © 2014 RiChi Technology Inc.